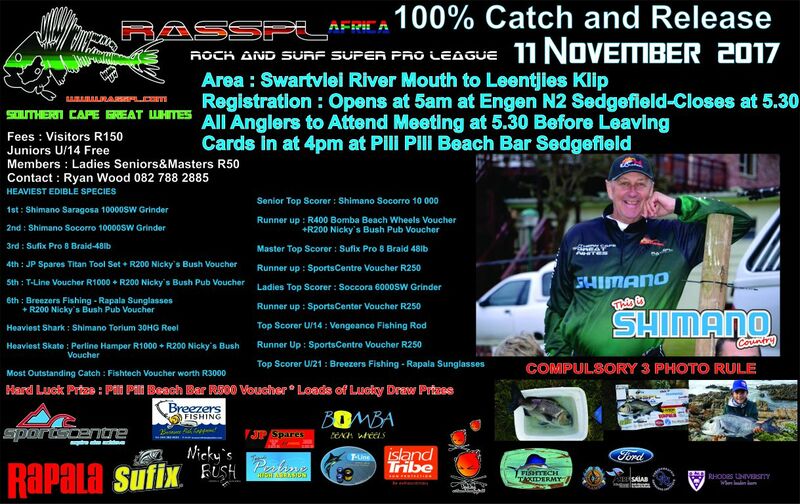 Join us this weekend as we all heading on over to a pristine stretch of coast line for a fabulous fishing competition! We’ll be fishing in Sedgefield between Swartvlei River Mouth to Leentjies Klip which is an area that has never failed to deliver some prized fish! See you all at registration!! !